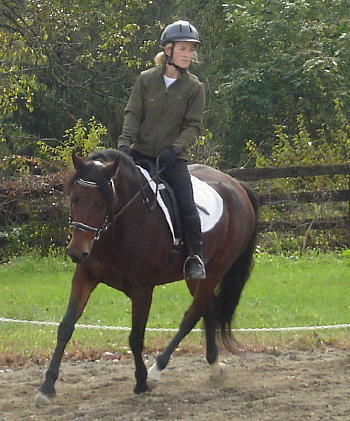 This is a 5 yo Morgan mare. The trim was started at age 3, and the second row of pictures shows the progress after about one year. 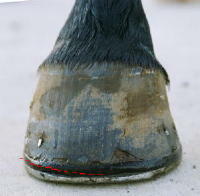 With frequent trimming, the heel has been kept low and the coffin bone placed in a near-ground parallel orientation. 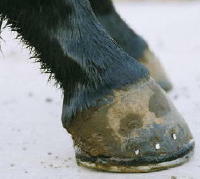 This has enabled the dish in the toe wall to grow out, and the hoof rings to become somewhat more concentric (more equal distance between them at the heel and at the toe. 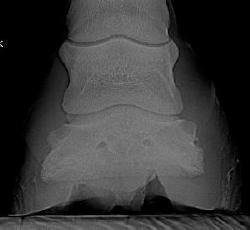 When the heel grows faster than the toe, the rings are wider at the heel. 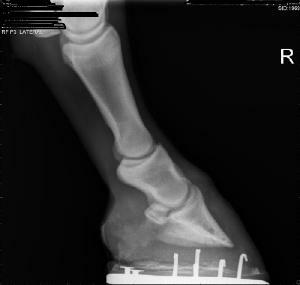 A healthy foot’s growth should be even all around with equidistant rings). 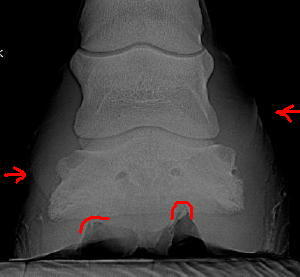 However by the age of three there was already considerable joint adaptation in the coffin joint, creating the broken forward hoof-pastern axis. The mare recently competed in her debut dressage show, winning her Intro test amongst a class of six, as well as getting an award for second highest score of the day. 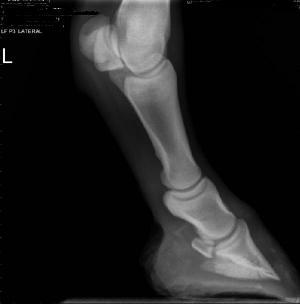 She has a bright future ahead of her as an all-around fun horse.